Facilitators for PYSU - Association "Les Coccinelles"
I am one of the founders of the Italian association Paradiso Ritrovato and of the Swiss organisation “Les Coccinelles”. Since 2010 I organises both in Italy and Switzerland International youth exchanges and trainings on reconnection to nature and oneself. I'm allergic to the unjust, capitalist and insane trend of the system since very early in life so by the age of 22 I started living on the edge of society by experiencing eco-villages and eco-communities around Europe. I studied Political Science but my authentic vocation which became “work" turns around hijacking normality by peaceful means like creating spaces of living community, horizontal decision making and permaculture. This year I will also open a sourdough organic collaborative alternative bakery called “La Chouette Boulangerie”. I am mother of a wonder girl called Camelia. I am Valentina, dynamic doer and passionate visionary. In 2005 I started my journey designing, managing and facilitating international projects for young adults. Since then, I am researching and developing ways to support and guide people "in transition" to become aware of their talents and potentials so able to take part authentically and freely in a world rich of challenges and opportunities. To coach and empower people I love to use non formal education for mutual and dynamic learning and permaculture to grow social, environmental and economic resilience. After several working experiences in different contexts such as in private and public sectors, since 2014 I am the captain of my own adventure, leading and working for Paradiso Ritrovato, the organisation I co-founded. I am a mother living with my precious family in a little community in the hills of Romagna, in Italy. Here I take care of bees, plants and people experiencing the enriching and challenging life of an intentional community with other people. I am an adventures’ enthusiast and a strategist of new paths. I am interested in the social, economic and political dynamics that affect our lives and I believe in the potential of change making of our personal sphere to go towards a more resilient and authentic life. Working for 10 years as a consultant in a co-operative union in Italy taking care of start-ups, finance, social responsibility projects, food and wine and international markets gave me the opportunity to go deep into many aspects of entrepreneurship and into different areas of the economy. I balance these entrepreneurial skills with my passion for music, dance and art as I believe that it is essential to cultivate body and soul to walk more gently, elegantly and respectfully on this planet. 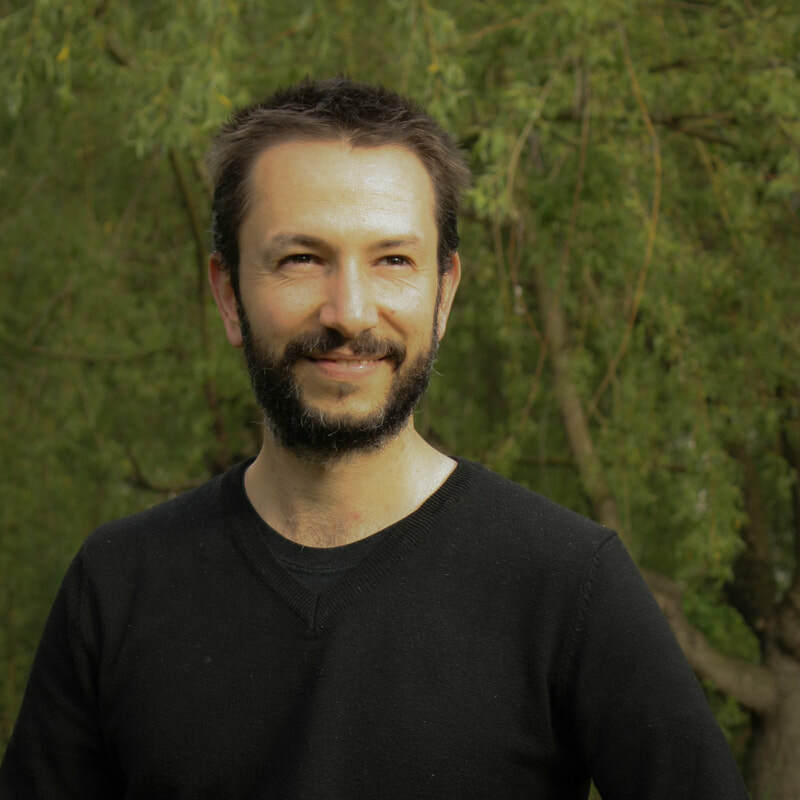 Giuseppe Sannicandro studies, plans and teaches Permaculture in Italy, Greece, Switzerland, Slovenia, Spain and Uganda and is co-founder of the association Naumanni Permacultura Migrante. He has graduated in Permaculture in Tenerife and he is member and Tutor for the Diploma in Permaculture recognized by the Italian Academy of Permaculture. He plans and offers advice to multi-functional farms, eco-villages, urban permaculture projects. ​He teaches in Permaculture courses and laboratories, in particular PDC (Permaculture Design Courses certified for 72 hours), water management, soil improvement, Regenerative Agriculture and Food Forest. 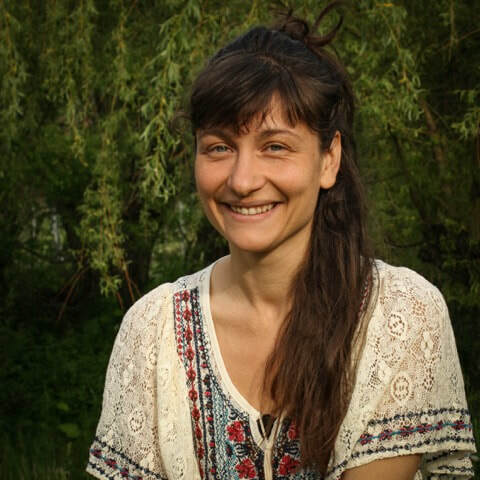 ​I grew up in the center of Bulgaria’s capital with the dream of living in a forest. During my studies in Bulgaria, France and Reunion Island I found my vocation in living in nature and work to enhance biodiversity, social unity and personal growth. Back in Bulgaria in 2005, I co-founded Trinoga association and initiated in Zhelen village the first post-communist eco community in Bulgaria. Since, we demonstrate a non-violent, healthy lifestyle, sustainable development and permaculture landscaping. In 2007 the main ideologist of Trinoga - M.D. Dimitar Pashkulev joined our work introducing me into the theory and practice of the integral approach. In “Vegetarium Guest Home” we host hundreds of guests, volunteers and young trainees per year. To some of them I give short, middle or long term trainings of adopting a balanced lifestyle, personal and professional orientation, environmental creation and mutual aid. Among people I love learning, sharing and dancing. Alone, I love practicing body and psycho regulating technics, or walking slowly and watch the nature. Born in Austria, I lived and worked there until the age of 21. In 2013 I started travelling to see different countries, cultures, lifestyles and fruits. During this time I worked in different eco-communities and collecting good practices to grow into my passion: the conscious lifestyle and critical consumption. One of my most difficult but fruitful travels was my bicycle trip from Austria to Bulgaria in 2015. This travel brought me a lot of personal growth and I found myself in the village of Zhelen in the Balkan Mountains. Here I met Trinoga association and the teachings of doctor Pashkulev. The synergy of my Austrian education, my life philosophy and the lifestyle of Zhelen eco community gave birth to Vegetarium Project. Now I own some land here and I am a main host in “Vegetarium Guest Home”. I give workshops of body and breathing techniques, healthy cooking and diet, conscious shopping and house holding. I organize the production of homemade vegan specialties, eco-friendly cosmetics, cleaning agents and other sustainable products. ​ A seasoned writer and avid traveler, I have spent my life exploring communication in its variety of forms, celebrating diversity, creativity and collaborations that merge different practices to send a single message of unity. Yoga and AcroYoga teacher, Thai/Balinese massage therapist and Reiki healer, I share my passion for body shapes and partner work in a variety of contexts, from formal classes in yoga studios to performances and workshops at international festivals as well as through programs with disadvantaged communities in remote areas. I strongly believe non-verbal communication, partner body work and generally the arts of movement can contribute to make this world a better, fairer and happier place. I dedicate my quest and practice to all those who cannot travel or who are forced to move against their will.